The REFRESH is back in Brooklyn! And broadcasting on Waxx.fm! After a long forced hiatus after we made Monday nights too crazy broadcasting from the front window of, and thus got, our former venue in trouble with their liquor license…. 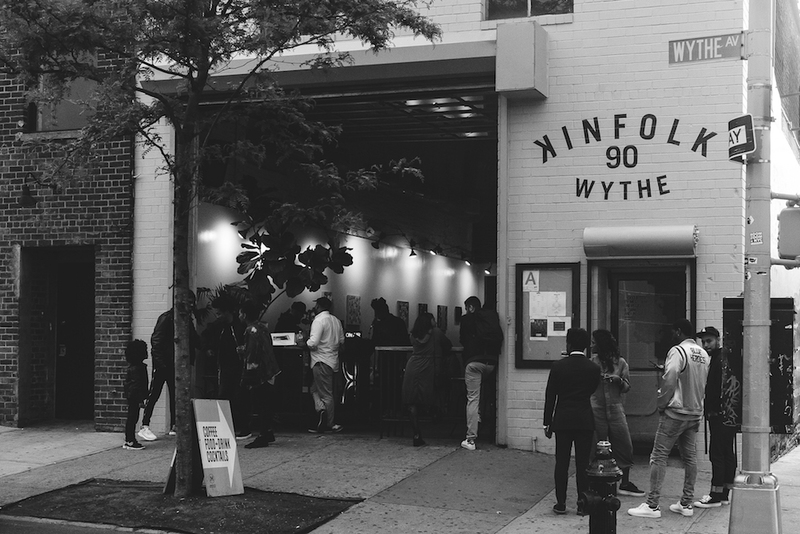 We’ve now relaunched The REFRESH, broadcasting from the front of Kinfolk 90 in Brooklyn! And now we’re broadcasting and doing the show/event on 1st and 3rd Thursdays during happy hour at the bar. We’ve already done 8 shows from our new venue with the whole front garage door of the bar open to the street. We’ve also incorporated up and coming visual artists into the mix — doing a pop-up style art exhibit during our broadcast. Music, art, happy hour drinks — not much better than that mix. Take a listen to our latest episode, The REFRESH Radio Show # 114 for a taste.